A branch of blooming yellow bush lupine, complete with a cute bug crawling on the top flower, along the trail to Kehoe Beach in Point Reyes National Seashore. The backdunes and coastal scrub at Point Reyes are turning yellow, as these lovely blooms paint the landscape. View more images from the Kehoe Beach area of Point Reyes National Seashore. 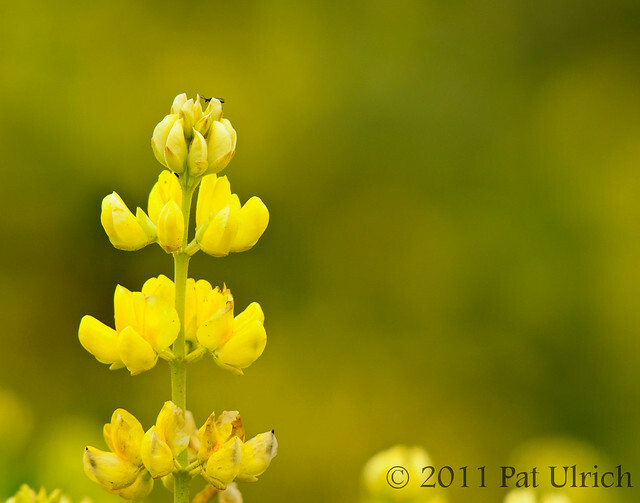 Hi Pat, wonderful shot, I've never seen yellow lupine before, only pink and purple. A most lovely image! A wonderful way to start my day viewing such beauty. MInimalist images are often underlooked...this one a work of art! Thanks for the kind words, everyone! Your comments are greatly appreciated!